ACK! 15 more days until Christmas! Are you ready? How are you doing on the shopping? Are you at the "OMG I have no have to pay more than the price of the gift to get it shipped in time" phase yet? I started wrapping last night. We discussed, if you follow me on Facebook about how I am about that kind of thing. Yikes. But I enjoy soft lights, Christmas music and beautifully wrapping the gifts we have chosen for those we love. It is relaxing, and my husband always says I should start a gift wrapping business at the holidays! I did get in the kitchen yesterday and get these wonderful treats made. They are a favorite in our family, and I wanted to make sure to share the really special treats we love with you this year. It is a really busy time and developing new recipes this time of year, (which actually started 2 months ago for me. I am like retail!) I just want to enjoy the beauty of the season, the reason for the season, my family and friends and spending a lot of time developing anything new isn't in my game plan for this month, especially this year with my grandchildren now living in the same city. They are our families Christmas miracles as they were born last Christmas Eve, 6 weeks early and yet, they have grown into beautiful, funny, healthy little monkeys who we can't imagine life without! Though this isn't technically their first Christmas, it kind of is. 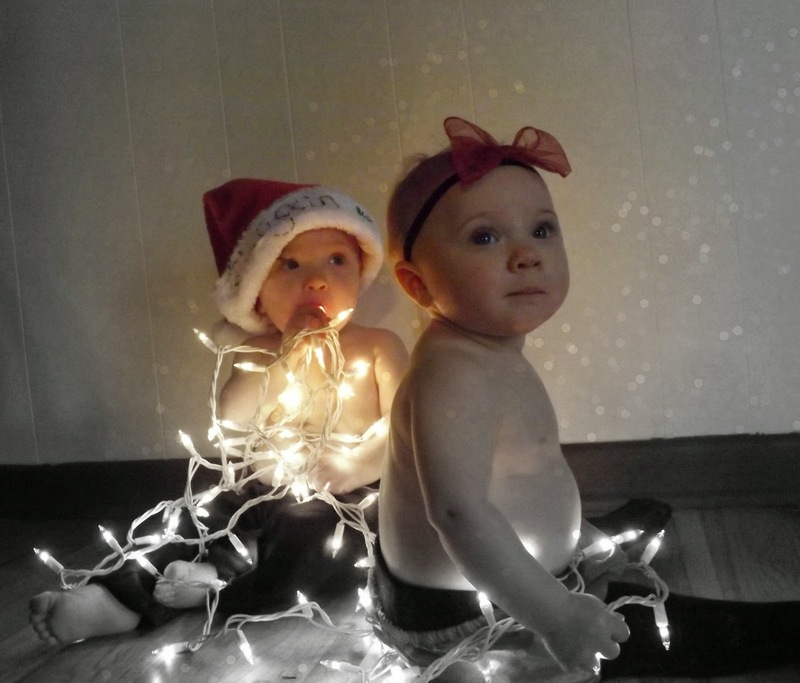 I have to share one of their Christmas photos with you! These cookies are so good. The chocolate flavor is rich, and though the actual cookies isn't super sweet, the addition of the white chocolate drizzle and crushed peppermint, makes it the perfect cookie. When you see the amount of sugar you might say, "WHOA", but using the unsweetened chocolate, in addition makes the flavor so much richer. It makes over 5 dozen cookies, don't worry, you won't consume it all at once! They are easy, the dough is beautiful, and they don't take long to bake or cool. I think it would be fun to let the kids drizzle and sprinkle them with anything they like! You can use any other candy or decoration to sprinkle over the top as well it doesn't have to be peppermint! In a large bowl or the bowl of your standing mixer, cream together, cream cheese, butter, sugar, salt and vanilla extract together until creamy. Add in baking soda and mix well. Start adding in your flour and beat (stand or hand mixer) slowly at first, so you don't get covered in flour and add until it is all incorporated! Now, pour in your melted unsweetened chocolate and let it mix until well combined. Preheat your oven to 350 degrees F. Take a tablespoon size scoop or actual spoon and roll that amount into a ball. Next roll it into a long snake shape, you can do them as small or as big as you like, but the size I did, I got a nice size cookie, and ended up with over 5 dozen. 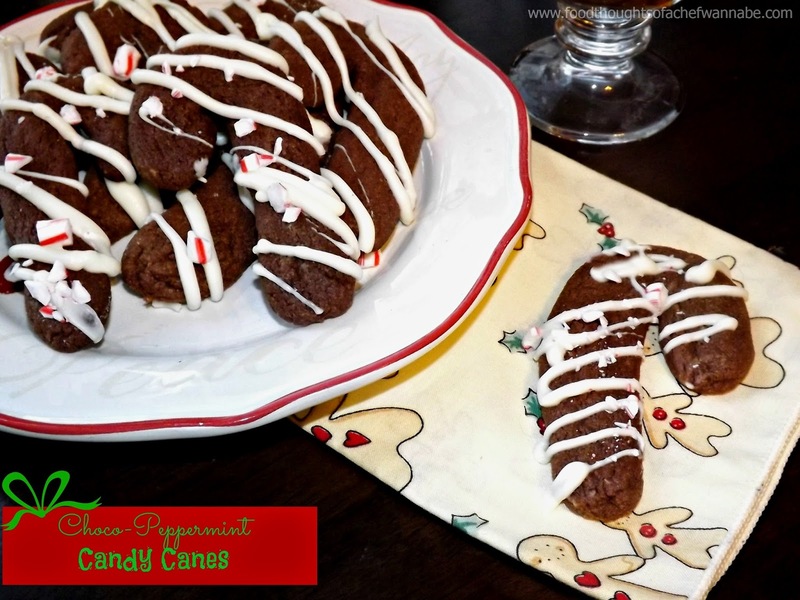 Shape them into a candy cane shape and place on parchment lined or non stick cooking spray, sprayed, cookie sheets. I easily get 12 on a sheet, they don't spread a lot but they do spread a bit. Bake for 10 minutes. That is the exact time that I find keeps them soft, even with the carry over cooking. Place them on a cooling rack to cool! Melt white chocolate in either a double boiler set up or in the microwave, 20 seconds at a time on half power. Trust me, just trust me. Place into a piping bag or Ziploc that you have cut the tip off of. You can even just use a spoon or fork to drizzle. While the white chocolate is still wet, sprinkle with your crushed peppermint candy or whatever you choose to sprinkle on them. Let sit until the chocolate is set and enjoy!